During CE Week, I was reacquainted with Adonit and introduced to their latest release: the Adonit Jot Touch with PixelPoint™. “The Jot Touch with Pixelpoint™ is a fine point stylus with innovative features that give you a natural drawing experience”† and the clear disc that used to define the Jot line is now gone. 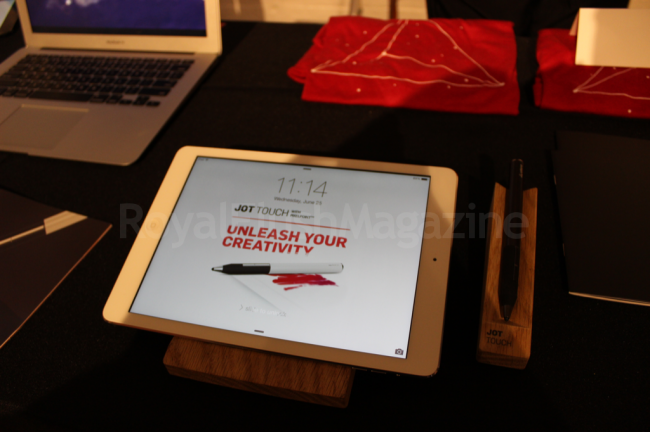 Without the disc, the Jot Touch with PixelPoint performed like a regular stylus at first but as you continued to play with the Jot Touch you are instantly amazed by the accuracy. Create comfortably with palm rejection on Bluetooth 4 devices.Your Jot Touch with Pixelpoint™ works seamlessly with tons of your favorite digital creation apps. 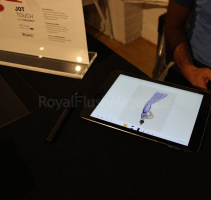 Connect it to a Jot-Ready App to take advantage of features like palm-rejection, pressure sensitivity and shortcut buttons. 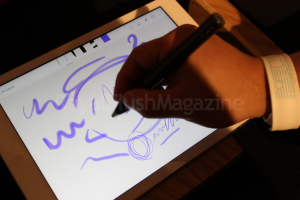 The Adonit Jot Touch with PixelPoint™ is clearly for those who specialize in digital sketching on tablets or even those looking to get started. The Adonit Jot Touch with PixelPoint™ is available now for $119.99 through http://www.adonit.net/jot/touch/.